I think a grand majority of the electronic dance music bubble has been honed in on Martin Garrix since the summer of 2013. 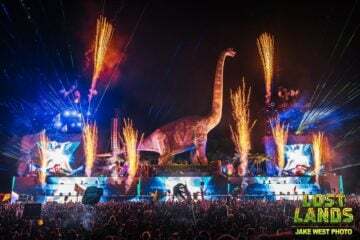 With “Animals,” the youngest person to ever top the Beatport charts went on to become the golden goose of Spinnin’ Records with the releases following the song that defined big-room house for the next year. 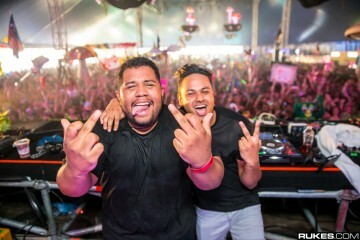 In that time, he has performed in music festivals like Tomorrowland, EDC Las Vegas, and Coachella and worked with artists like Afrojack, Sander van Doorn, and Tiësto to name a few. But that was over two and a half years ago. These days, Martin Garrix has switched up his style, his direction, and his tunes in a desire to captivate the world and have the spotlight on him. 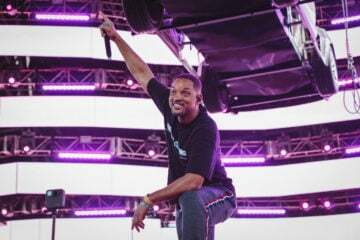 From his grueling departure from Spinnin’ Records to launching his new label STMPD, Martin unveiled a new song that only teases the potential magnitude of what he can offer to the grand scheme of music. 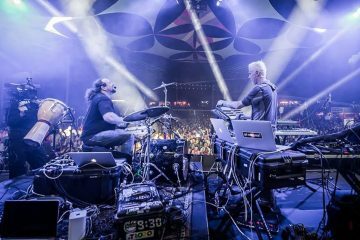 On top of that, his Ultra Music Festival set from a few weeks ago displayed his newfound sound across genres not bound by 128 beats per minute. 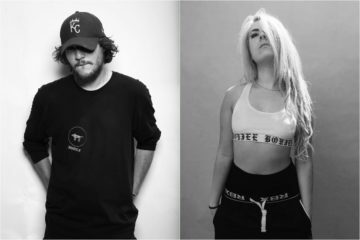 With all eyes on him, I had an opportunity to sit down and have a one-on-one conversation with the soon to be twenty-year-old DJ and producer to ask him about his inspirations, his goals, and music. Writer’s Note: At the time, this interview was conducted minutes prior to his Friday-night headlining set at Ultra Music Festival. You’re no stranger to Ultra & Miami music week. How long have you been coming out and doing shows for MMW? 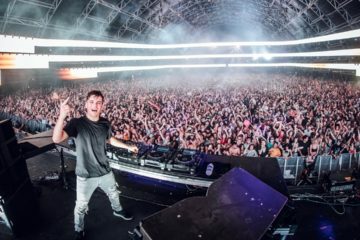 Martin Garrix: This is my fourth Miami Music Week, and my third time playing Ultra in Miami. Every year has been bigger for me. The first year, I was in the crowd. Two years ago, I DJ’ed on the daytime slots. Then last year, the nighttime slot and now I’m going to do a closing set. Yeah, I remember with Usher last year. That was a huge set. I was there for that. Thanks! Whenever I’m in Miami, it just brings back all these crazy memories which is a lot of fun. 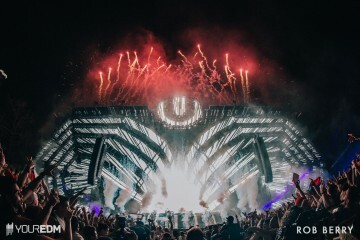 Have you been doing any events here in Miami outside of Ultra? You’re making sure that the headlining experience is the best, right? We put so much time into the show and what you [the fans] get in return is a good show. For me, it’s all worth it and if I compare this week to last year, last year was a lot of partying and played a lot of different shows and every morning I was like, “Ahh! I have to do press! I have to be in the studio!” So this year, it’s been basically me in the hotel room studio and in the real studio working on the music and working on the show. So compared to other years, would you say that this one’s been a lot more relaxing with a lot more down time or me-time for Martin Garrix? No, not really down time. Just working time. There was a lot of things I had to do and I prioritized. And balancing it out was very nice. I can only imagine. Is there any kind of music that you listen to or were listening to in veering into the direction away from your earlier electro house “Animals” like releases to your more melodic ventures like “Now That I’ve Found You”? What is your inspiration right now? 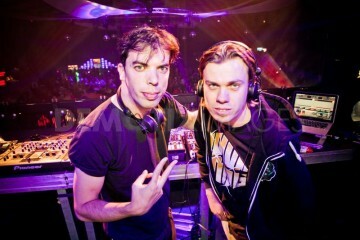 I love Axwell Λ Ingrosso, Steve Angello‘s latest album, and the old Avicii sound. For me, music is about emotion. With a lot of the music that has been released, it began to sound the same. So I decided to put more emotion back into the music. [For example,] I played instruments from a very young age, so I wanted to use my chord progression and my melodies and just have some fresh air. But right now I’m in a totally different phase. I just started my new label. You’re going to freak out tonight with the music I put out tonight [Writer’s Note: I did]. I’ve been making weird hip-hop kind of stuff, trap kind of stuff, and 118 bpm music. I don’t even know what to call it at this point. Now with my new label, I can do whatever I want. It’s just me and it’s going to be fun! 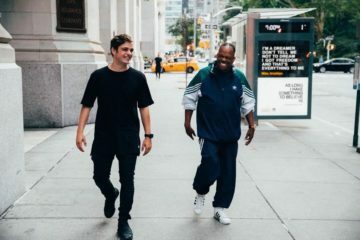 Now what can we expect from STMPD? What kind of artists can we expect? You can expect everything from the label. It can have rappers and hip-hop to indie pop, trap music to electronic house music. It can be everything. I’m 19 years old and I don’t need to make any more money. What I really want to do with the label is to make a platform for other artists and boost new talent into the world. I’ve received the most amazing demos, I’ve worked in the studio with some of these talents just for their projects depending what they want or depending on what I want, and I just bought my new office space in Amsterdam two days ago. Now we’re expanding the team and finding people who will work for STMPD Records. Like with “Now That I’ve Found You,” I hoped for good feedback because it was the first release on the label and the feedback was absolutely ridiculous. It charted worldwide and we didn’t even start the radio promo yet from the label. It was only pushed by my own social media. For me it’s all super exciting and now with Ultra coming up I’m going to play a lot of new music, a lot of new, different genres, and I want it to be a showcase for the label that every type of music is possible for it. This brings us to your debut album. You’ve already said that you’re experimenting in these new directions. It’s getting weird with your music. Will we know the name of the album yet? Will we know about any collaborators? You are going to hear a lot of new songs tonight. I have no name for the album yet, [though] I have been thinking about different options. However, I’m still in the process of making you songs. I think I have between 25 to 30 songs right now and then we’re going to pick the 13 best ones. I could also release the other ones under a new alias on STMPD Records. I can basically do whatever I want and it feels great. I had two months free just to work in the studio and it felt amazing. Last question. Whatever happened to your other alias GRX? Is that coming back or is that being buried for the time being? I think it’s still in the process. 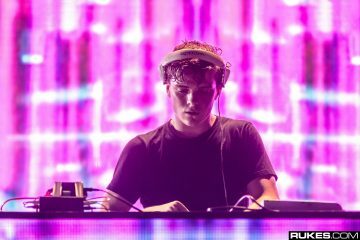 But I’m focusing on Martin Garrix right now. I really want to put the album out soon. Definitely this year. And I’m going to premiere a new alias tonight. It’s going to be fun and I’m really excited to show the world tonight. And there you have it. Fifteen minutes with Martin Garrix and the future looks extremely hopeful for him and everyone else tagging along with him for the adventure. Make sure to stay tuned to see what’s the next major move Martin decides to pull off later on this year. 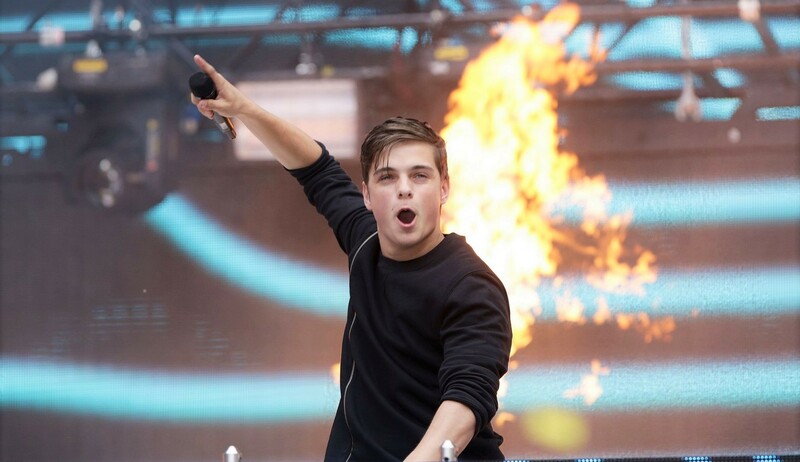 Could Martin Garrix Be Remixing His Own Newest Hit? Construction On Ultra Music Festival In Miami Has Begun!